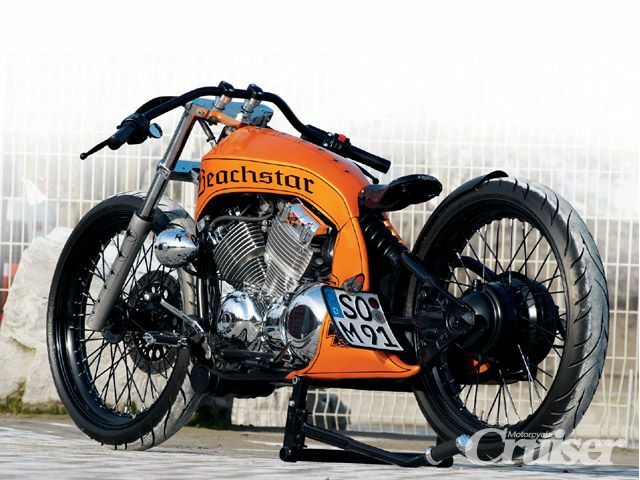 This is a conversion of a 1998 Yamaha XVS 650 Drag Star (Star V Star 650 in the US) called the Beachstar. 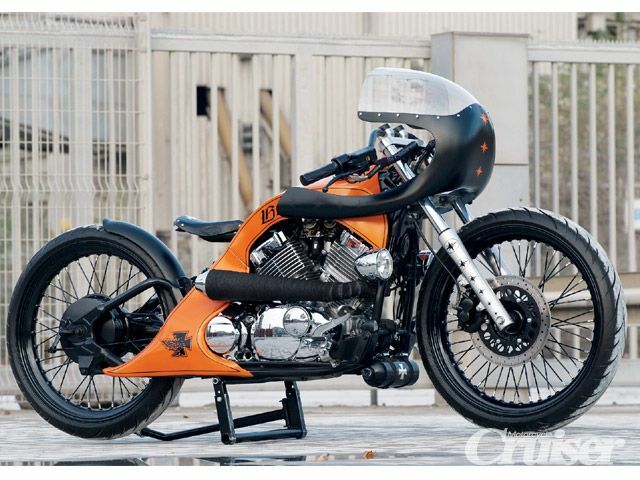 It’s been described as a cross between a cafe racer and a board tracker. With or without the 60’s looking fairing this bike looks awesome. The Beachstar was built by a German by the name of Mario Baer. Baer needed only one summer to modify this old 1998 Yamaha Drag Star, working only in the evenings. Thats impressive work. It’s not just a show bike either, it’s also a commuter. He rides the Beachstar to work nearly every day and last year the Beachstar won some impressive shows including the world-renowned 2008 Intermot show in Cologne. We are looking forward to seeing Baer’s next project which he describes as “Hmmm…something exceptionally spectacular with a huge rear wheel and a small front wheel. Something completely crazy!”. [More pics on Motorcycle Cruiser].